As the old saying goes: food is the way to the heart. 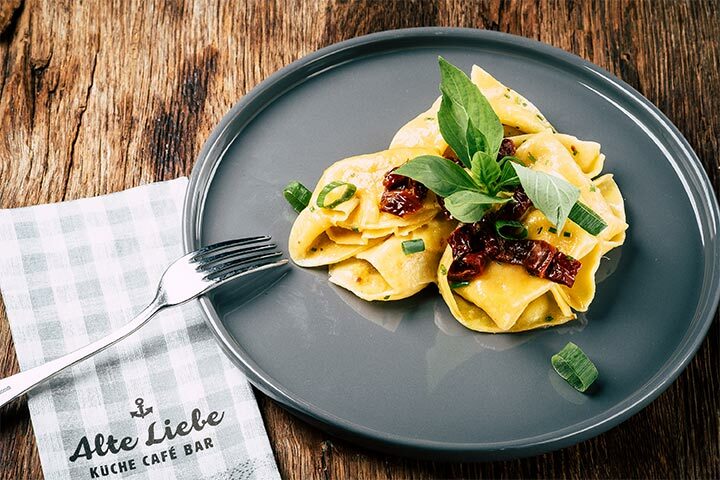 And for that very reason, we take pride in our outstanding gastronomy at the “Alte Liebe” restaurant. 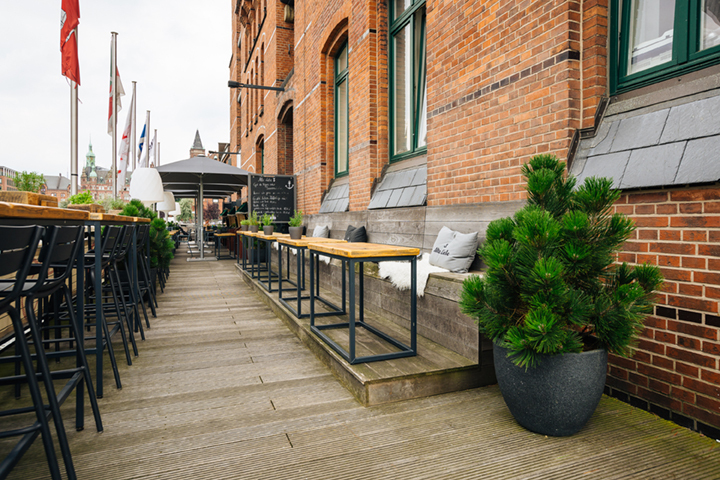 We offer everything in one place: Authentic cuisine, a cozy bar as well as a quaint café. Whether you are in the mood for a small snack during lunch hour, you care to enjoy a cappuccino on our terrace, or maybe a glass of wine after work – with us, you can have it all and it comes from the heart. We serve you “typical Hamburg” with a pinch of maritime charm – and lots of heart! Culinary seduction is our specialty and we take pride in taking the love of food very seriously. 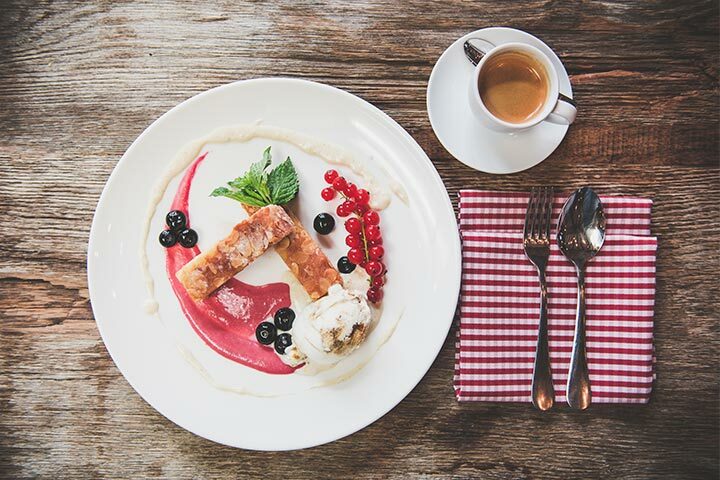 George Bernard Shaw once said: There is no sincerer love than the love of food. And for that very reason, from Wednesday to Sunday, we serve homemade dishes and drinks, that are made with love. Come and enjoy our local specialties or let us delight you with one of our baked goods, perhaps accompanied by a coffee? Savor our hearty potato spring onion soup or fall in love with our crunchy tarte flambée. And while you are here, make sure to try one of our delicious craft beers. 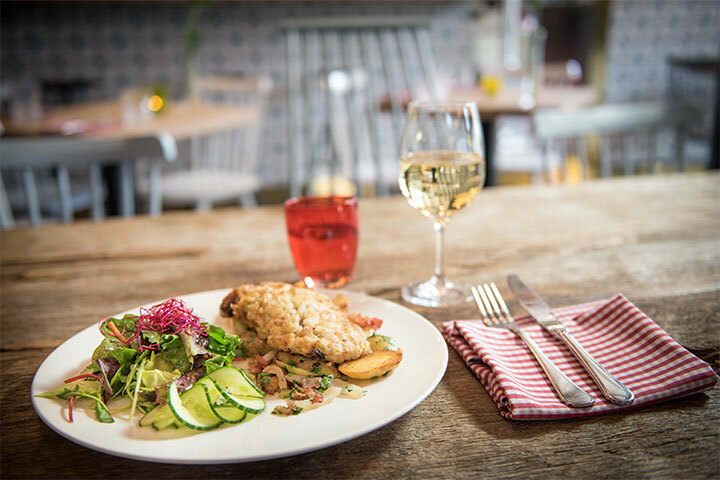 Have a peak in our menu which offers fresh cuisine, a variety of drinks and our numerous lunch options. Then again, this was just the beginning of the treats! Sundays are for feasts and after-work calls for drinks! 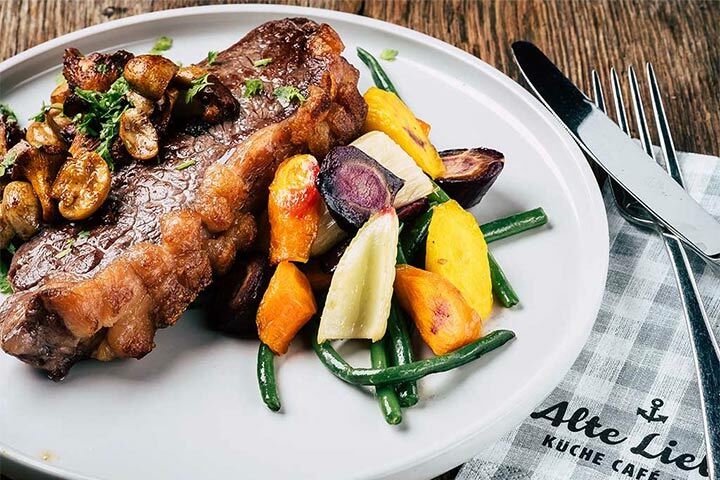 Reason enough, for us in the ”Alte Liebe” restaurant, to not only invite you for our regular lunch menus offered at our HafenCity location but we would also be delighted to have you over for one of our tasty themed evenings. 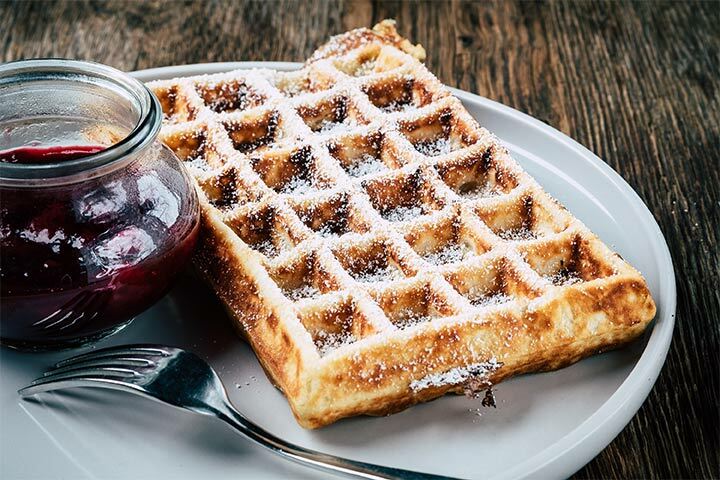 In addition, every Sunday and even on public holidays we serve our famous brunch, which is our claim to fame! During summers we set up our barbeque so you can devour our grilled specialties outside on our fleet terrace. Romantic harbor atmosphere included! And occasionally we team up with the renown “Vineyard Winery” to host memorable winegrower parties boasting selected wines and matching music. And if the weather happens to be traditionally Hanseatic – in other words: it rains – we´ll simply move everything inside. You love parties as much as we do? It doesn´t take much to make them really good: The most important thing is to have the right people, a good occasion, great vibes – and an extraordinary location. 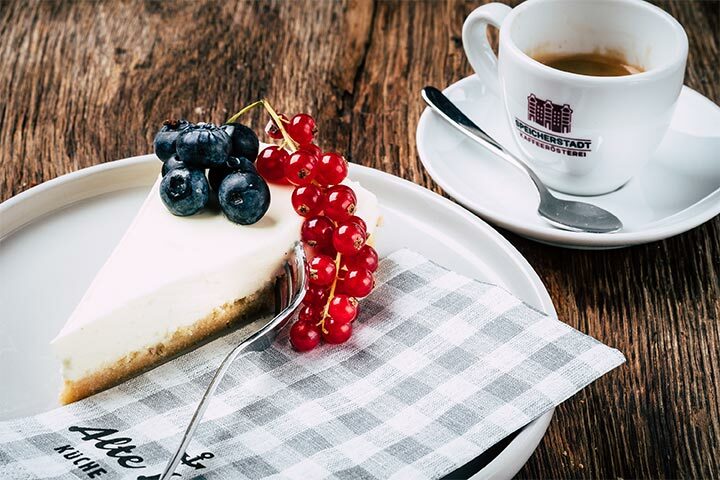 How about our bar-cafe near the stunning “Speicherstadt”? 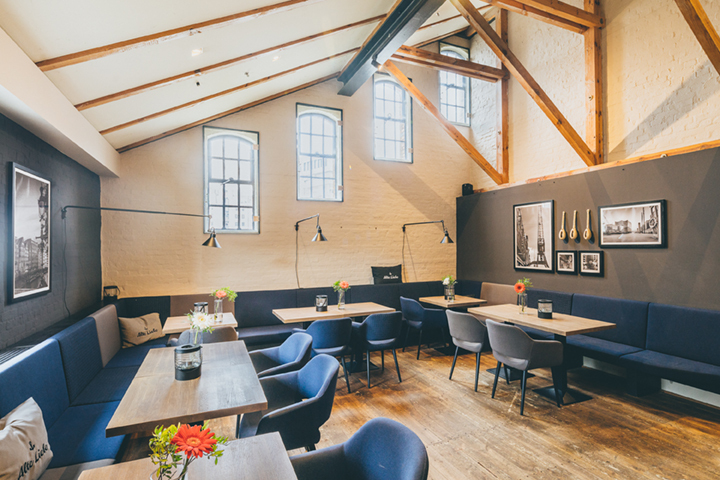 The “Alte Liebe” restaurant is located in Hamburg´s oldest well-preserved warehouse and thus, offers the perfect address for any small or big events of life. From business meetings to private affairs. You will have the best party in all of Hamburg!